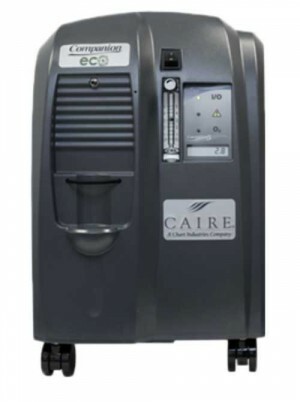 Selecting a Home Oxygen Concentrator for your medical needs should incorporate matching the oxygen requirements specified by your doctor to the capability of the oxygen machine. Prescriptions from medical doctors often specify a certain amount of oxygen the patient is required to receive in order to remain healthy. These prescriptions often are written in terms of liters per minute of oxygen flow or LPM. 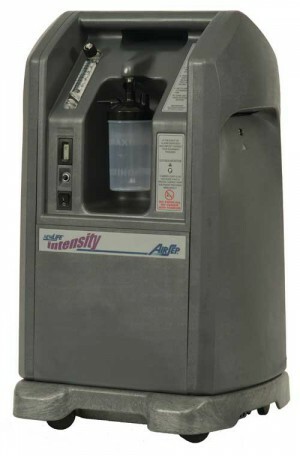 If your prescription does not indicate a specified amount of oxygen in liters per minute, then a less expensive 5 Liter unit should be adequate for your needs. If however, your prescription calls for 8 or 10 LPM, then you should select between one of the larger units that have a greater capacity for oxygen production and flow. 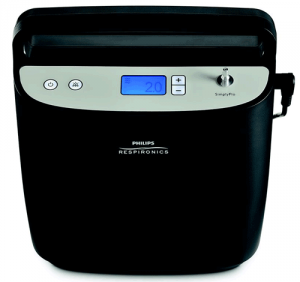 High Flow Home Concentrator Comparison Chart & Review compares oxygen concentrators with flows of 6 to 10 liters of oxygen per minute. 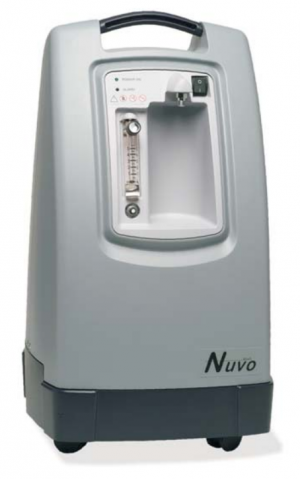 5 Liter Oxygen Concentrator Review & Comparison Chart examines the top ten 5-liter units. 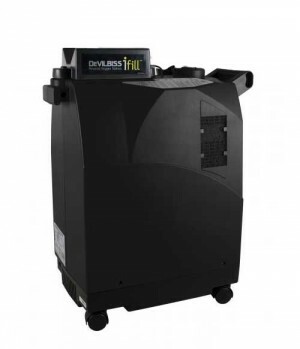 Low Flow Concentrator Review details the differences in a side-by-side comparison charts and ranks the top units. 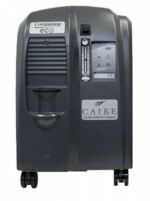 Oxygen Machine for Home Use are stationary units that are used for oxygen therapy at home. Even though most units come equipped with caster wheels, these wheels facilitate moving the unit from room to room within the home and are not considered portable outside of the home. 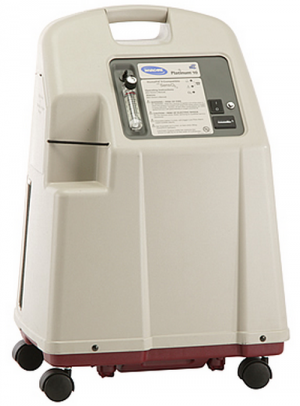 Because of their large size and weight, they are often referred to as Stationary Oxygen Concentrators. 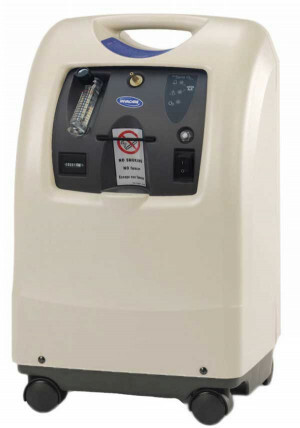 For patients who suffer from emphysema, chronic obstructive pulmonary disease (COPD) or other related respiratory ailments, an oxygen concentrator is an essential item of home medical equipment. Many patients’ lives depend upon the support of their machine to meet their needs. 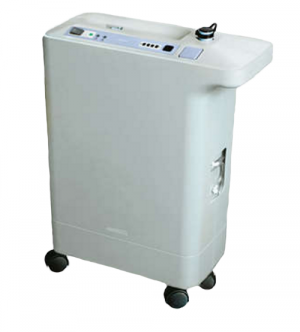 Most units offer continuous flow oxygen that is supplied to the respiratory patient without interruption, during both inhale and exhale cycles. 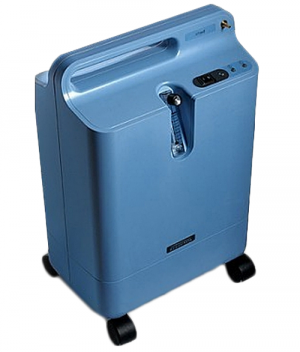 Portable Oxygen Concentrators on the other hand, mostly use pulse flow oxygen rather than continuous oxygen because of their small size. Pulse dose is not continuous oxygen because it provides a puff of oxygen only during the inhale cycle. 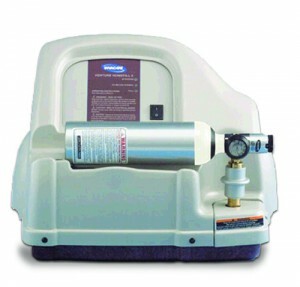 Oxygen machines for home use are usually much larger than portable units and offer more oxygen flow. 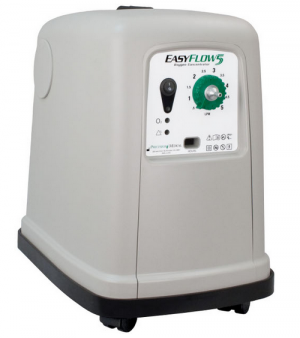 Many of these large units can also supply oxygen for up to 50 feet of tubing, allowing significant mobility to patients within their own home. 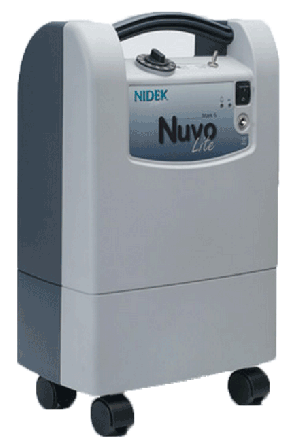 These units are a part of standard oxygen therapy for continuous oxygen support in the home environment. 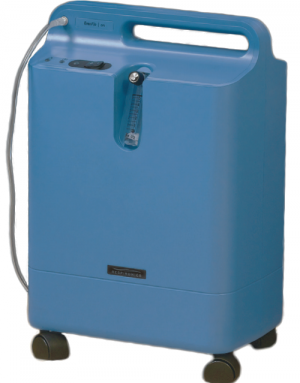 For patients who suffer from emphysema, chronic obstructive pulmonary disease (COPD) or other related respiratory ailments, an oxygen unit is an essential item of home medical equipment to support their oxygen needs. 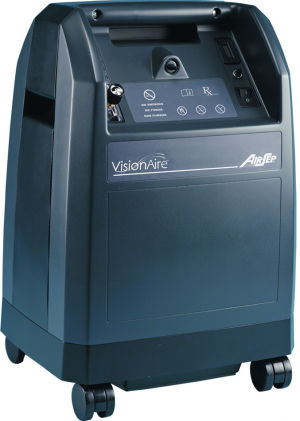 Vitality Medical carries the brands that are highly respected by medical caregivers, including AirSep, DeVilbiss, Invacare, Nidek, Respironics, and Sequal. 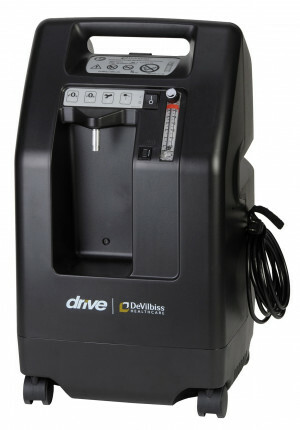 We inventory units in various sizes and outputs to meet the personal needs of most patients. If you have any questions or comments you can reach us at (800) 397-5899.